Of the nation’s many governors who are completing their second straight four-year term in the 2018 cycle, five are eligible to run again. 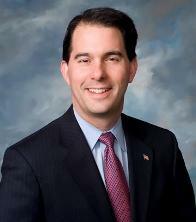 Two of these governors have bowed out of the race (DFLer Mark Dayton of Minnesota and Republican Terry Branstad of Iowa, pending his confirmation as Ambassador to China) while two others have not yet made an official decision (Republican Scott Walker of Wisconsin and Connecticut Democrat Dan Malloy). Only New York Democrat Andrew Cuomo has launched a reelection campaign of those who could seek a third consecutive four-year term, though Walker has suggested he will be running again. While Cuomo is basically a shoo-in for another term, both Walker and Malloy faced competitive challengers during their 2010 and 2014 wins (as well as Walker’s 2012 recall victory). Malloy may also have the added burden of needing to first dispatch strong candidates to win his party’s nomination (e.g. Middletown Mayor Dan Drew, State Senator Edward Kennedy, Jr.). The vast majority of states – 36 of 50 – now have gubernatorial term limits with some instituting a lifetime ban after a governor serves two terms in office and others requiring the governor to sit out at least one cycle. But for those states which do permit an unlimited number of consecutive terms, how frequently do governors decide to run again for a third straight four-year term? And how many are successful? Smart Politics examined the nearly 1,900 gubernatorial elections conducted since the turn of the 20th Century and found that only 26 of the 100 governors who were eligible to run for a third consecutive four-year term ended up running and winning reelection. However, each of the last nine governors to attempt such a feat since 1994 were victorious as well as 20 of 24 since 1970. In addition to the dozen states that currently have no limits on the number of consecutive four-year terms a governor may serve (Connecticut, Idaho, Illinois, Iowa, Massachusetts, Minnesota, New York, North Dakota, Texas, Utah, Washington, Wisconsin), several other states with four-year terms for the office previously did not have such term limits (e.g. Arizona, California, Colorado, Hawaii, Maryland, Michigan, Montana, Nevada, Wyoming). From 1900 through the 2016 cycle, a total of 100 governors were elected to two consecutive four-year terms and were constitutionally permitted to run for a third. [Note: In addition to the five 2018 incumbents mentioned above, two other governors up for reelection in 2020 could also run for a third straight four-year term: Utah Republican Gary Herbert and Washington Democrat Jay Inslee]. 13 resigned: California Progressive Hiram Johnson (1917), Nevada Democrat Edward Carville (1945), Wyoming Democrat Lester Hunt (1948), Connecticut Democrat Abraham Ribicoff (1961), Illinois Democrat Otto Kerner (1968), Minnesota DFLer Wendell Anderson (1976), Idaho Democrat Cecil Andrus (1977), Wisconsin Democrat Patrick Lucey (1977), Connecticut Democrat Ella Grasso (1981), Massachusetts Republican William Weld (1997), Texas Republican George W. Bush (2000), Idaho Republican Dirk Kempthorne (2006), and Utah Republican Jon Huntsman (2009). Six died in office: Washington Democrat John Rogers (1901), Wyoming Republican DeForest Richards (1903), Nevada Populist John Sparks (1908), Washington Democrat Ernest Lister (1919), Wyoming Republican Frank Emerson (1931), and Nevada Republican Fred Balzar (1934). Overall, just 46 of these 100 eligible governors sought a third term and only 26 were victorious. In fact, 20 of the last 24 two-term governors who ran for a third consecutive four-year term have been successful dating back to 1970. Winning a third-straight four-year term as governor used to be quite unusual in the annals of American politics. From 1900 through 1968, only six governors achieved this feat: Maryland Democrat Albert Ritchie (1930), Montana Democrat John Erickson (1932), California Republican Earl Warren (1950), New York Republican Thomas Dewey (1950), Idaho Republican Robert Smylie (1962), and New York Republican Nelson Rockefeller (1966). [Note: Ritchie is included in this tally even though his three four-year terms (in 1919, 1926, 1930) were technically sandwiched around a victorious bid for a three-year term in 1923 after the state resolved to stop holding such elections in odd-numbered years]. If he runs, wins reelection, and serves out a third term, Malloy would become the longest-serving statehood governor in Connecticut history. Federalist Jonathan Trumball served 11 years, 8 months, 7 days during his tenure from 1797 to 1809. If Walker does the same he will still trail Republican Tommy Thompson (14 years, 28 days) who ranks #12 on the all-time gubernatorial service list. 5 Comments on "Will Cuomo, Walker, Malloy Extend Gubernatorial Three-Peat Streak?" Cuomos: 1) Andrew: It is quite likely he will not lose to a REPUBLICAN. However…; 2) Mario: he sought a FOURTH term in 1994; he lost despite (perhaps because of) the endorsement of Giuliani, who I gather was never highly regarded Upstate. Thanks for catching the typo – Mario’s third win was in 1990 as you suggest. CT: 1: “Seven died in office…” Perhaps knowing her remaining time was short, Ella Grasso resigned about 6 years into her term, in late December 1980 (she indeed passed in February of ’81 as FORMER governor). 2: Even if the Ds were in control of WH in the latter half of 2018, Malloy would be no worse than a precarious favourite against any non-Democrat. Whatever his ultimate decision, given the crating support of the current Golfer-in-Chief (allegedly hovering at 35% nationally, presumably lower in the Nutmeg State), his party is “basically a shoo-in” for an additional 4-year term – a glaring contrast to the 2-decaade shutout it endured following the retirement of 10-year incumbent William Atchison O’Neill. Yes, it would be surprising, given his two unspectacular wins (albiet in GOP-dominated cycles) for Malloy to test fate and try for a 3rd win…under ordinary circumstances. But with Trump in office he just may give it a shot and eke out another win. Good catch on Gov. Grasso – ‘resigned due to ill health’ would have been the appropriate category. You forgot that Beauford Jester (D), who served as TX’s 36th Governor from January 21st, 1947 until his death in office on July 11th, 1949.